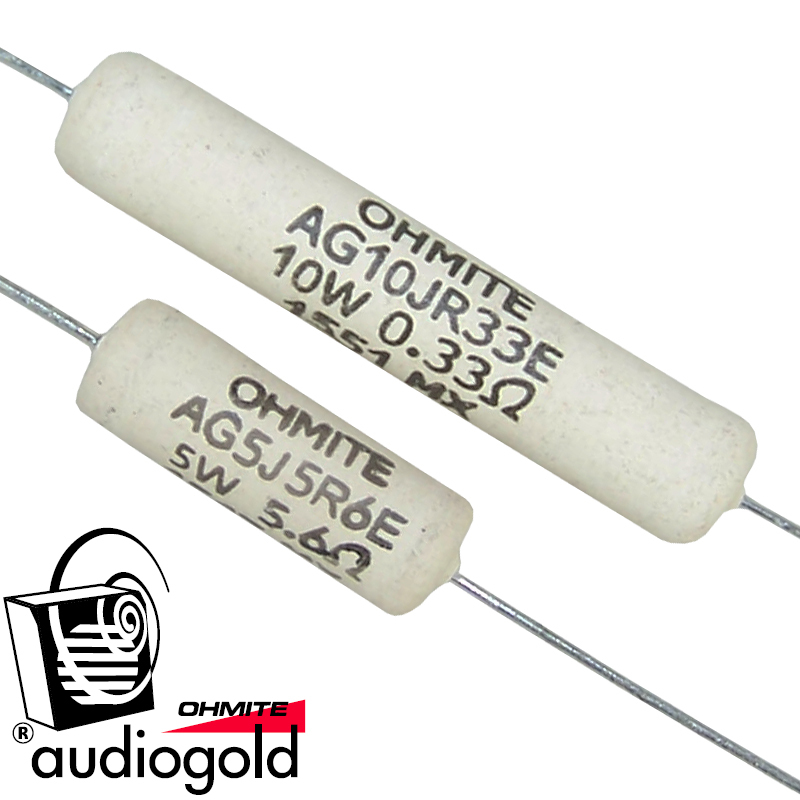 Ohmite now offers the Audio Gold Resistor Family, specifically designed for high-end loudspeaker and amplifier applications. These resistors utilize high quality resistance wire wound on a ceramic core, terminated, and finished with their flameproof Centohm® coating. Ohmite’s Audio Gold resistors have been carefully engineered with non-magnetic materials to eliminate the effects of these stray magnetic fields on circuit performance, thereby resulting in simplified shielding requirements and improved sound quality. Audio Gold resistors are designed for use in cross-over networks and as source, emitter, or cathode resistors in balancing applications for output transducers. Hificollective carry the AG5, 5 Watt and AG10, 10 Watt range. Overload: 5W and under, 5x rated power for 5 sec. ; 10W and above, 10x rated power for five sec.